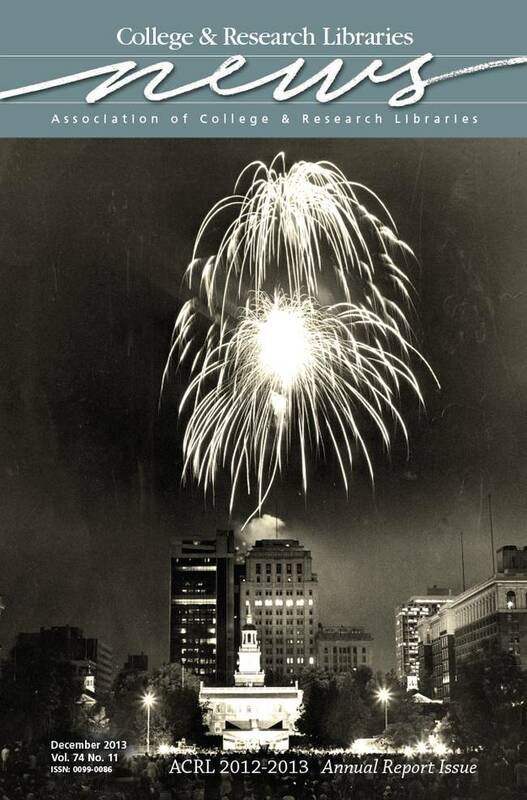 This month’s cover features a photograph of fireworks over Independence Hall in Philadelphia, host of the upcoming 2014 ALA Midwinter Meeting. The image was taken by Robert L. Fox on July 4, 1978, for the Philadelphia Evening Bulletin newspaper. The photograph is held in the George D. McDowell Philadelphia Evening Bulletin Collection of the Temple University Libraries Special Collections Research Center. The collection is part of the Urban Archives, which document the social, economic, political, and physical development of the greater Philadelphia region throughout the 19th, 20th, and 21st centuries. The collection is available at http://digital.library.temple.edu/cdm/landingpage/collection/p15037coll3. Image courtesy of Special Collections Research Center, Temple University Libraries, Philadelphia, Pennsylvania.